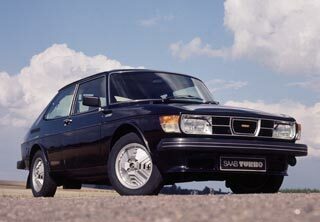 The standard Saab 99 was so thoroughly engineered from the outset, with double wishbone front suspension, excellent brakes and a strong, forgiving chassis, helped to make the Turbo the instant success that it was. At its launch in early 1978, just the 3-door was available in the UK and, like the Model T Ford, was available only in black. There were limited runs of both 2-door and 5-door variants, however there are very few of the latter left. The 2-door model appears to have fared somewhat better than the earlier cars, and there are more of them to choose from. Our 99 Turbo Registrar, Chris Foxley, is almost as well-known as his immaculate 3-door turbo which he has owned since the late 1970s. Chris will be delighted to help with any 99 turbo queries you may have.